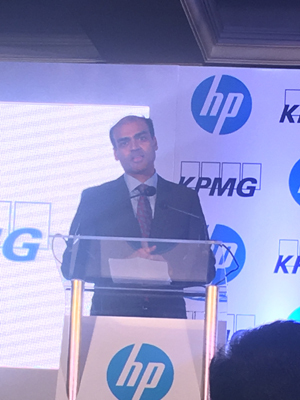 With just a couple of days left for the Goods and Services Tax to be rolled out, HP India and KPMG have jointly announced a comprehensive solution for traders as well as micro, small and medium enterprises to transition on to the GST regime. 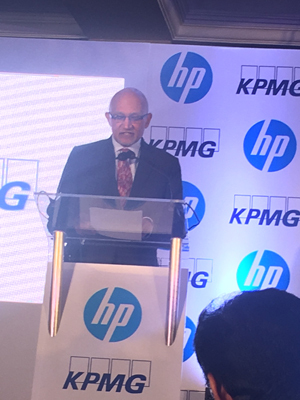 HP will also enable specialized help Desk of tax experts on call, email, and chat for GST related queries and operational assistance including tax filing returns for 24 months. This solution will also come with vulnerability and penetration testing protocols to ensure complete security of users sensitive data. The end-to end solution is available from June 5, 2017 at a price of Rs. 33,990/- or an interest free EMI of 1,650/- for 24 months. 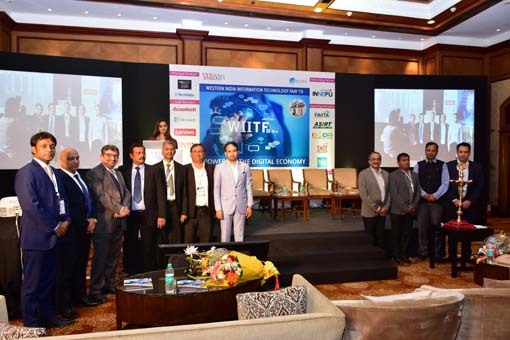 The end-to-end solution includes hardware of HP, GST invoicing software by KPMG, cloud storage for storing invoice data, uninterrupted GST Suvidha Provider (GSP) access, e-sign, GST registration and migration services. The solution facilitates the entire process from inputting of purchase invoices, generation of sales invoices and managing reverse charges. The solution also helps businesses receive the tax credit through automatic reconciliation of purchase invoices to ensure a seamless transition to the new taxation structure. 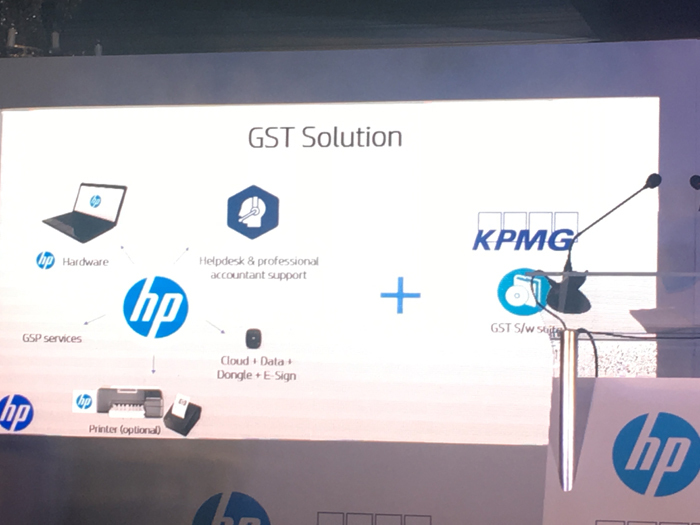 The GST solution created by HP Inc. and KPMG is ideal and focused for the MSMEs which constitute the majority percentage of the tax payers. This solution takes care of all the requirements of the tax payers and it will be easier for the MSMEs to file paperless “supply return”. Speaking in the occasion Arun Kumar, Chairman & CEO, KPMG India said, GST is the biggest tax reform in India since Independence . It will unite multiple fragmented tax systems into a unified tax regime. For years, our dreams of trading freely amongst ourselves were not realized by cascading excise barriers. By removing these barriers, the GST takes a golden leap towards creating an integrated Indian market. For the first time we will have a true common market in the country. However, before we get there significant challenges are there as we transition into the GST system ensuring barrier free mobility of goods and services within an integrated market. Upon implementation of GST ,will led to near term challenges due to fundamental restructuring of the manner the taxes are filed. The challenges will have a significant impact on vulnerable sections of the Indian economy which are the MSMEs consisting of small manufacturers and suppliers. Since, GST will increase information intensity it will imply that businesses must adopt the IT infrastructure to enable them to adjust with the transition to the GST regime. 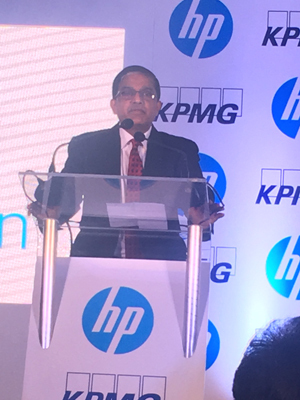 Commenting on the launch, Sumeer Chandra, MD, HP Inc. India said, “The economy today is on a very strong footing and the upcoming GST transition is going to be a defining moment for the Indian economy. Estimates say, about 6 million tax payers are in India today which made the net taxes and that number is expected to jump by 50% and the majority of the new tax payers on GST will be traders, small businesses and start-ups and these small business will need to now gear up for GST. They have to learn the new ways of doing businesses, automate and digitise their invoicing, i.e., purchases and sales and upload that on the GST portal for reconciliation. This is a new capability that the small and medium businesses will need to pay. So the question is how do these millions of small businesses become GST compliant and get ready for GST. 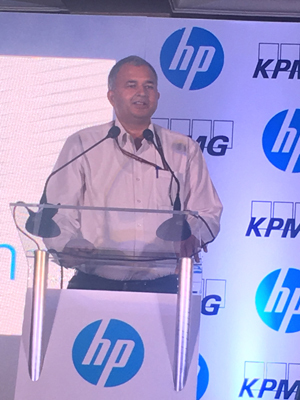 HP always takes great pride of being a supporter and an enabler in India’s digital journey. 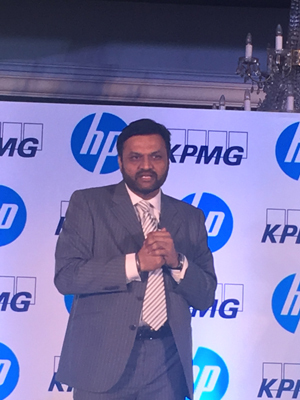 If you consider all the historic government initiatives around digitisation, HP has been a key partner, whether it’s the first computerised railway ticketing, computerisation of government departments or courts, digitisation of banks, the UID scheme and the recent digital India initiatives where HP has been a key enabler. So we took up on ourselves a challenge of figuring out how do we help these small and medium businesses. 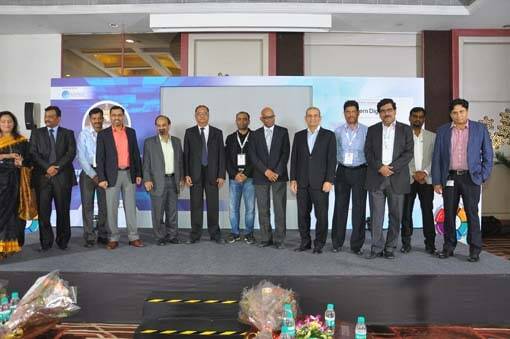 This was a very big task and we knew we couldn’t do it alone, so we entered into a strategic partnership with KPMG by joining hands to launch a very comprehensive GST solution that will help millions of SME customer’s transition into GST regime with confidence and with minimum interruption. This solution brings the best that each company has to offer. 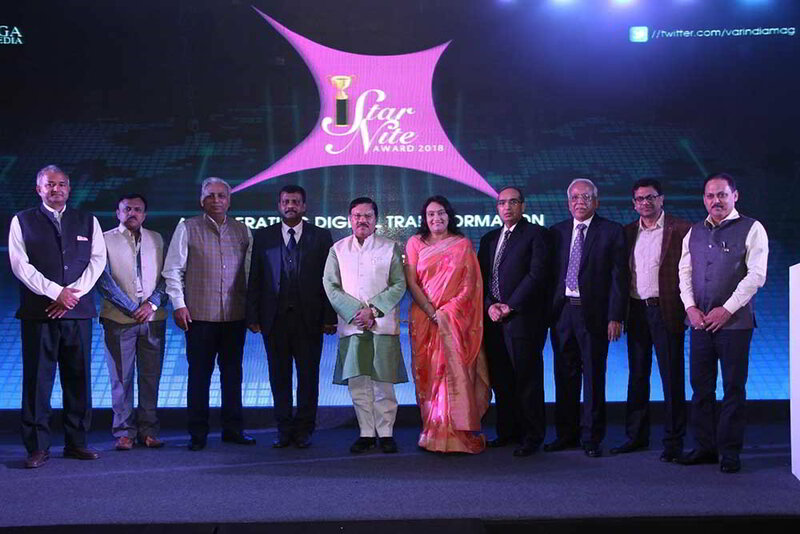 Addressing the audience, Prakash Kumar, CEO- GSTN, who has been given the responsibility of creating the IT backbone for GST said, “I am really happy to see a solution which has been put by both the giants that takes care of the machine, the connectivity, the applications and the most important part, the support; everything bundled into one on a per month fee and that’s ideal for our MSMEs who constitute a huge percentage of our tax payer base. Just to give you some statistics on the data, in 2015-16 from all the states, below Rs 1.5 crore turnovers, the percentage of tax payer was 87%. That’s a huge number and those are the people whom we are looking at as how they will comply with the requirements, create a GSTR-1 and then reconcile all their purchases with all the supplies which have been made. And why this happens because under GST there are no paper based returns. So all the returns have to be filed electronically and the main return which is the ‘supply return’ will consist of the details of B2B invoice data and consolidated data on B2C. Of course businesses involved in Exports will also come into it. The Government of India is focused on upholding MSME segment as the scope is immense in this landscape. MSMEs are the biggest tax payers and they contribute a major part in employment generation, production, manufacturing etc. The government is also looking forward for a smooth transition of the MSME businesses to GST. From generation of invoices, creation of GST, doing reform, uploading GST taking care of all the requirements which are there for the taxpayer. Talking about the security, we have used the best of class security is available in the country and it is fully secured, because the data which getting collected, it automatically encrypted and cipieds into various formats and it is fully secured. The recent approval from the government on allowing the Electronic Verification Code( EVC) based on Adhaar number, so anyone who wants to file need not to have a digital signature or the E-signature he can also use the EVC the way income tax allows and that will be the big thing for small tax payers because they don’t need to buy a DSC dongal, they don’t need to go for e sign they can simply use their Adhaar for authentication.